Rust is the bane of existence for most gearheads. Unless your vehicle is made entirely of plastic or fiberglass, rust will eventually sink its claws into the metal and cause trouble. 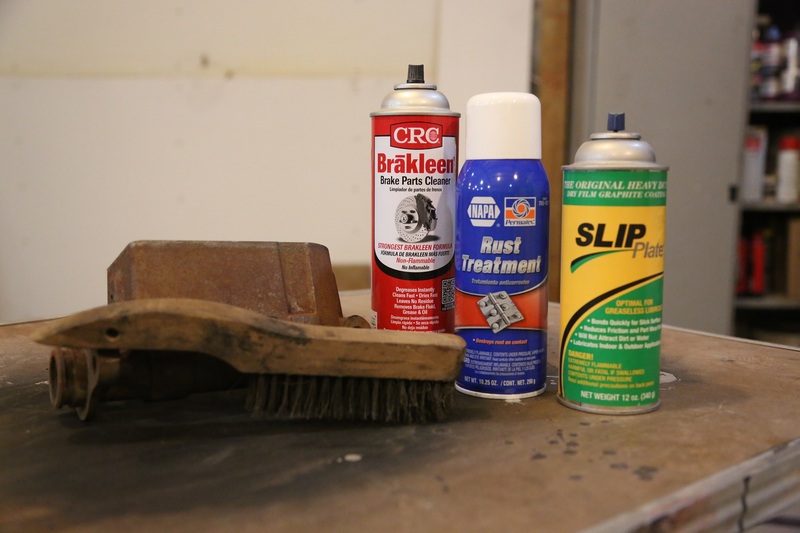 There are plenty of steps you can take to help prevent rust, but once it shows up, getting rid of it is difficult. 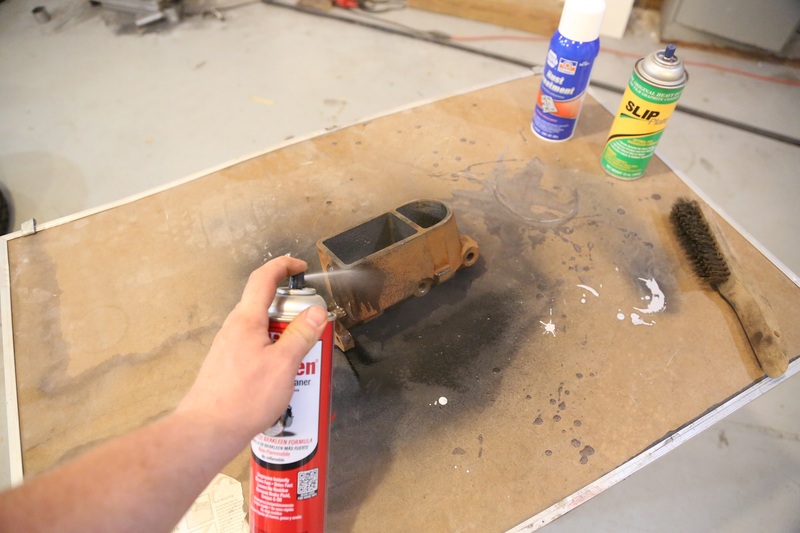 In the past, the only real solution was to completely remove the affected metal and replace it, but modern science and technology have a few tricks to remove rust that just might help save you some headaches. Oxidation of steel and iron is a chemical process where oxygen and a solution (normally water) work to remove electrons from one material (the iron) to the other (the solution- water), which forms red oxide, the crusty, flaky layer of the metal. With time, oxygen and water, all iron and its alloys will oxidize and turn to dust. This is the very nature of iron. How can we remove rust? Paint and other coatings are there not only to make the metal forms look good, but also to seal it away from air and water. Once this layer becomes compromised, the oxidations begins. 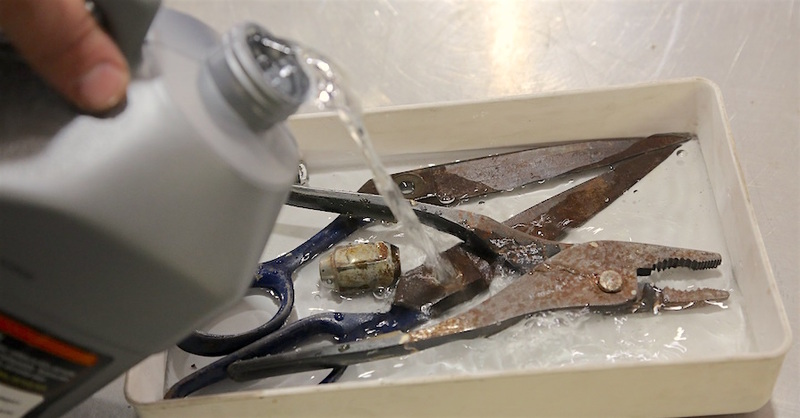 There are several methods to remove of the rust layer, and it all depends on how mad the oxidation has become. To remove and treat the master cylinder, we need a few products- NAPA rust treatment, brake cleaner, and to protect the finish–Slip Plate. The tried and true stripping of rust method is good old mechanical removal. This can be achieved by media blasting, wire wheels, sanding, or grinding. Media blasting is the best mechanical method as it gets into the areas that are hard to reach with brushes and grinders. Blasting is easy on small parts, usually a blast cabinet is employed, but large areas, such as body panels, are expensive as you need special equipment to get the job done and an inexperienced operator can destroy the very metal you are wanting to save. This is the area where we will focus our efforts, as the products for chemically treating rust have changed over the last few years. 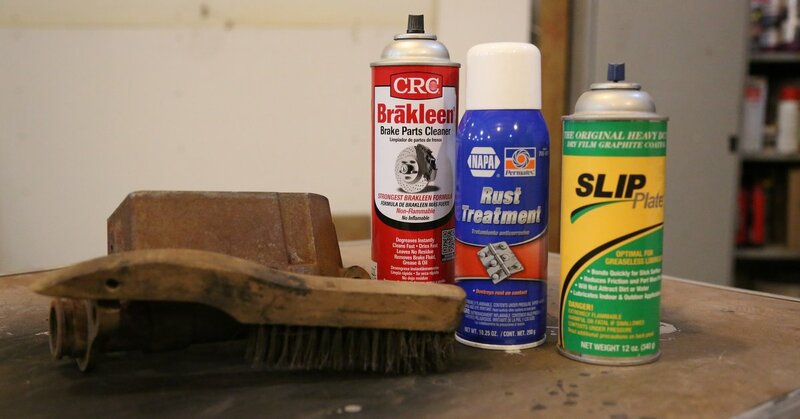 There are chemicals that remove rust, and chemicals that chemically convert the rust into a different form of material. This is an excellent option for hard to reach areas and items that are not easily treated for rust. The rust killer product, in this case NAPA Rust Treatment, is a converter. Using tannic acids and a few other components, the spray converts active red oxide into a new substance called ferric tannate. This is protective barrier that essentially uses the rust layer as a barrier for new rust to form, sealing the oxidized layer. These work well for parts that are not on the outer body of the vehicle, specifically the sheet metal itself. 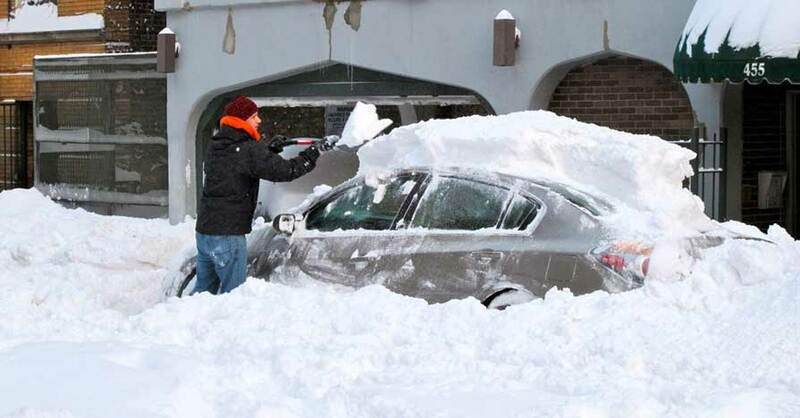 The reason is for compatibility of the top coats and the overall finish of the vehicle. For anything else, it fair game. 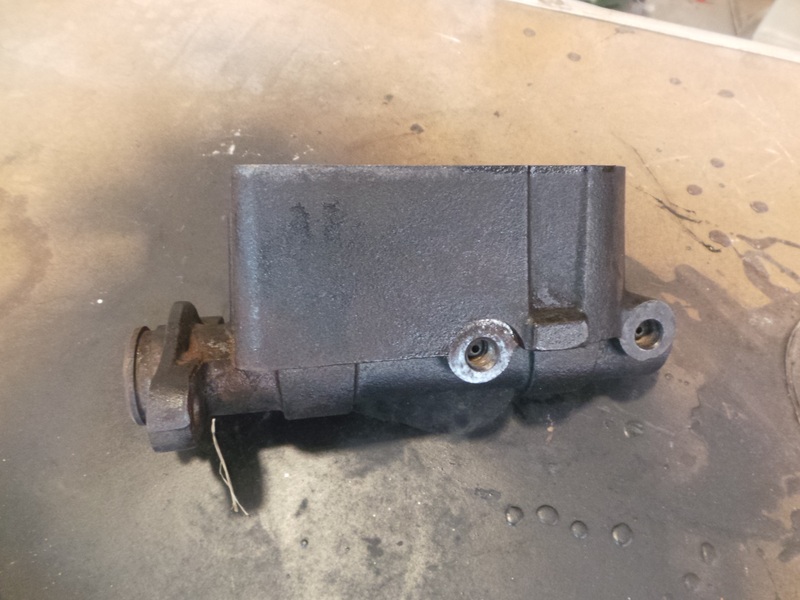 To demonstrate the effectiveness of the NAPA Rust Treatment, we took a rusted brake master cylinder and prepped it for the treatment. You will need a few items to do the job correctly. First, we place the part on a table. 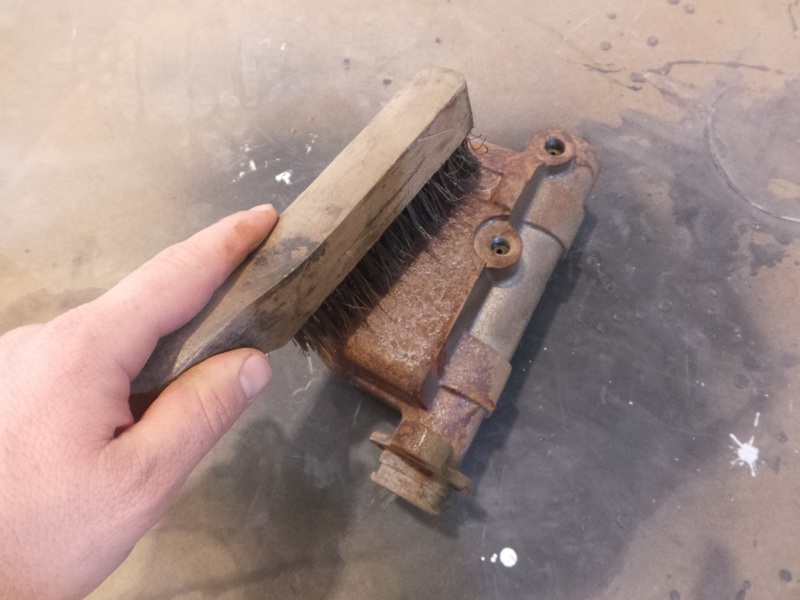 The rust treatment needs a clean part to start with, so it was scrubbed thoroughly with a wire brush. If you skip this step, the treatment does not work nearly as well. The loose scale must be removed in order for the treatment to work. To start, the part is cleaned with a wire brush. This removes the loose rust. Next, we sprayed the part down with brake cleaner. 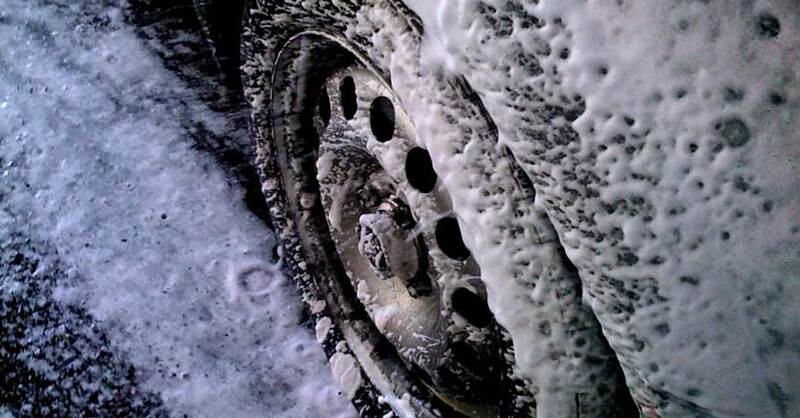 We use brake cleaner a lot because it doesn’t damage rubber seals and it dries quickly. Brake cleaner is great for this type of work because it is safe for rubber parts and it dries fast leaving no residue. 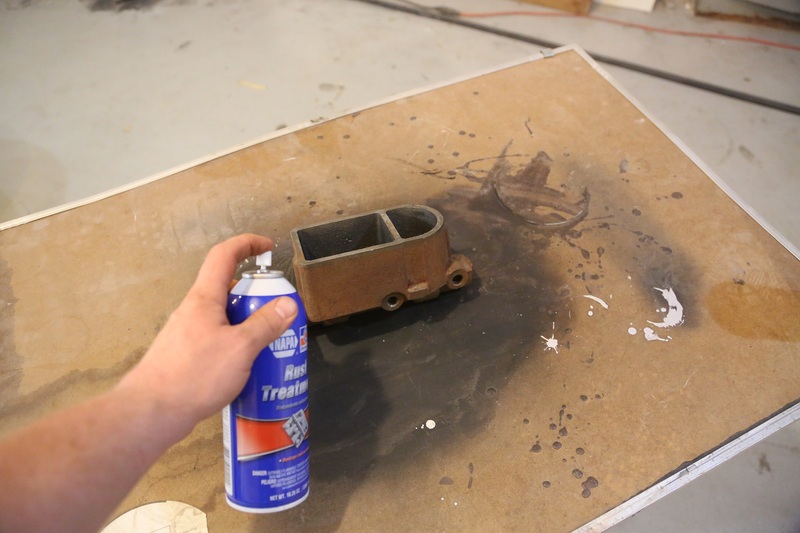 With the clean part ready, 3 light coats of the rust treatment were applied with about 15 minutes in between. Then it was left to rest overnight. The NAPA Rust Treatment goes on in 3 coats, then left overnight to cure. The treatment was converted the entire surface into a black coating, this the ferric tannate layer. You need to coat this with something else, don’t just leave it raw. The rust treatment leaves a black coating, that is converted red oxide. You cant just leave it like this though, it needs to be topcoated. 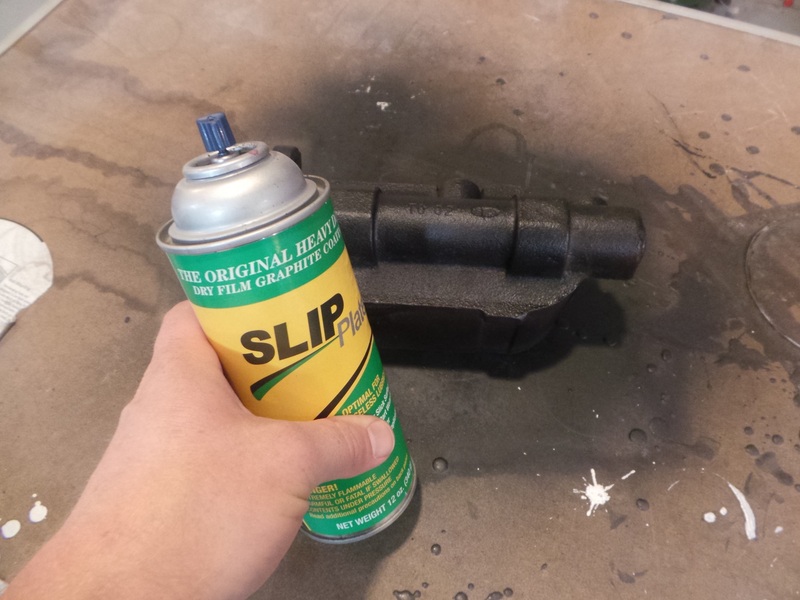 To get the master cylinder to look like a cast iron part again, we used Slip Plate graphite spray. This stuff works really well and it is easy to apply. Plus, it sticks to anything and is resistant to chemicals as it is not really a paint, it is graphite in a liquid binder. 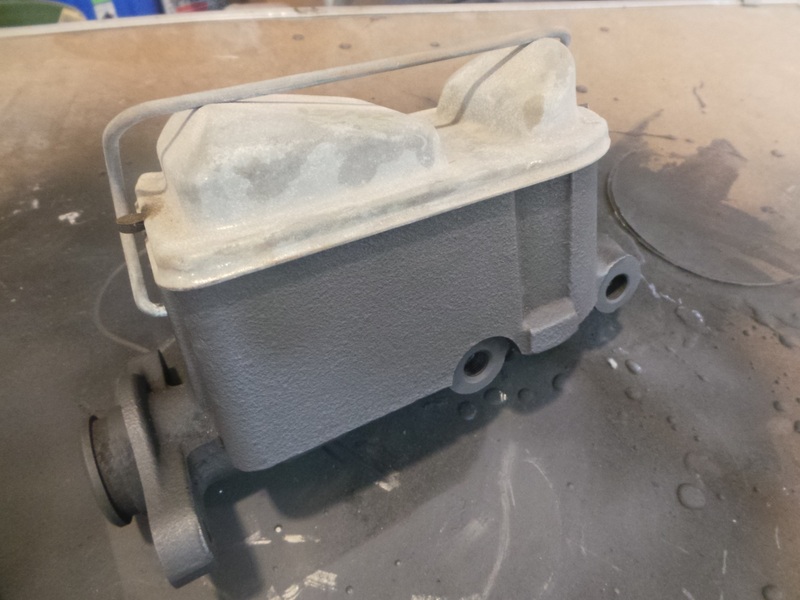 This is a great restoration trick, the spray graphite looks like clean cast iron. The slip plate goes on in 2-3 medium wet coats, with 15 minute between. Wait a few hours for the part to dry, which leaves a uniform dull gray finish. The dry graphite film looks great as sprayed, but there is one more step for the final finish. To get the shiny cast iron look, the part was buffed off with a towel. This brings out a nice sheen that will last a long time. If it ever dulls, you can simply buff it off again and the shine comes right back. 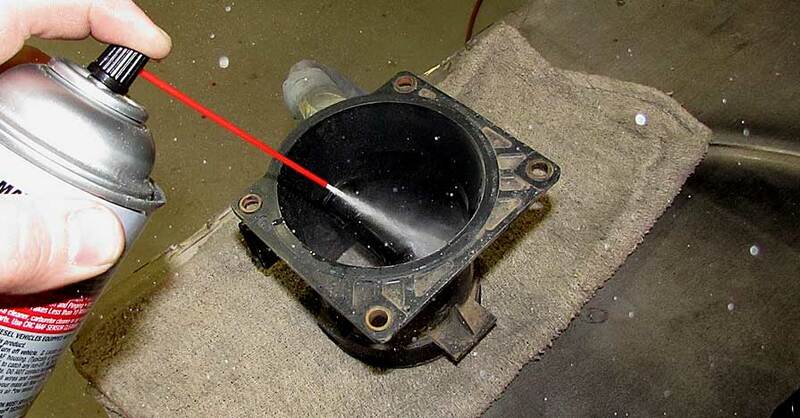 Slip Plate is good up to 400 degrees and it can be touched up whenever it is needed. 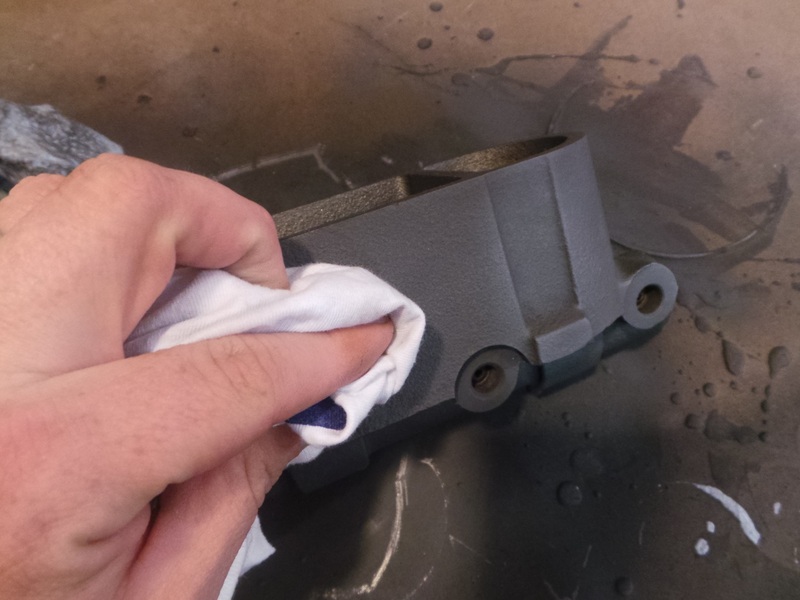 Buffing the graphite with a towel brings out a nice sheen, making the part look just like cast iron. The best part is that it can be buffed again if it dulls. The end result of the NAPA Rust Treatment is a clean, rust-free part that will last many more years of service. We like to use rust killer inside doors, floor pans, and anywhere else that rust likes to hide, waiting to ruin the rest of the car. Better living through modern chemistry. 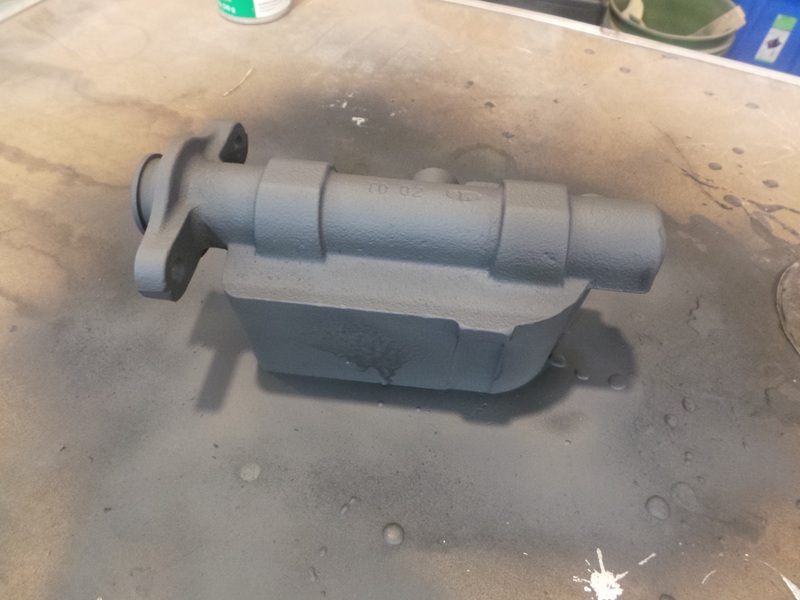 All done, the freshly coated master cylinder is rust-free and ready to be installed in the car. Rust is a formidable enemy, one that we all face. Share your experiences with rust and how you tackled it (or would like to) in the comment section. If you have questions about this process or any other rust-related project, let us know. We will get back to you here, and we might even work it up as a new tech project. Until then, keep the shiny side up. Check out all the tools & equipment available on NAPA Online or trust one of our 17,000 NAPA AutoCare locations for routine maintenance and repairs. For more information on how to remove rust, chat with a knowledgeable expert at your local NAPA AUTO PARTS store.